Saturday 12th November saw the 2016 ITTF World Tour Hybiome Austrian Open whittle down the number of remaining players to four in the Men's Singles category, with Brazil's Hugo Calderano being one of the final four contenders in the city of Linz to book his place in the semi-finals with his triumph over Ruwen Filus (11-5, 9-11, 11-9, 13-11, 11-8). Brazil’s Hugo Calderano enjoyed what can only be described as a fantastic summer of Table Tennis, finishing in the Men’s Singles top 16 at Rio 2016 and becoming a national hero for his country in the process. Three months have passed since the 2016 Olympic Games came to a conclusion and Calderano is continuing to impress on the world stage, achieving a spot in the last four of the 2016 Austrian Open with a strong performance against Germany’s Ruwen Filus on day four of the event. Never before at a world rankings competition had Calderano taken on Filus which added a sense of uncertainty as to who would have the upper hand, but with Calderano holding a 15 place seeding advantage over the German player there was an expectancy to see the Brazilian contestant hold off his opponent, which is exactly what happened. While the 4-1 scoreline (11-5, 9-11, 11-9, 13-11, 11-8) may suggest that Calderano comfortably progressed to the next round, the fact of the matter is that the No.24 seed Filus forced the 20-year-old Brazilian to be at his best throughout the match which will make the taste of victory that much sweeter for Calderano. 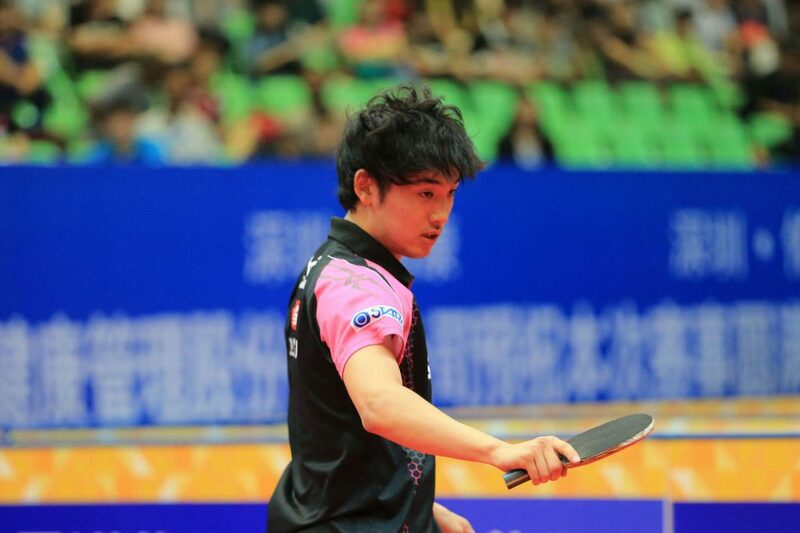 Japan’s Yuto Muramatsu knows the feeling of winning World Tour trophies very well, having won two titles at the 2016 Czech Open in September of this year and will be looking to pick up another gold medal in Linz following his 4-1 win over Ukraine’s Kou Lei in their quarter-finals match (11-7, 11-8, 11-7, 9-11, 11-4). Next up for Muramatsu, who is seeded 10th for the tournament, is a duel with Hugo Calderano in what is expected to be a thrilling battle for a place in the final stage of the Open. The top half of the quarter-finals draw hosted a magnificent seven game spectacle between Kenta Matsudaira and Ricardo Walther; Japan’s Matsudaira had eliminated top seed Koki Niwa from the competition in the previous round, and after emerging as victor over seven gruelling ends with Walther (11-6, 11-5, 9-11, 7-11, 6-11, 11-2, 11-6), Matsudaira will have to face another German player Benedikt Duda in the semi-finals.